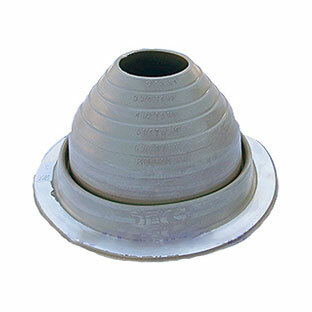 PRODUCT: #4 ROUND BASE GRAY COLOR EPDM PIPE FLASHING. 9.25" DIAMETER BASE. 2.3" OPEN TOP. FITS 3" to 6.25" PIPES. PRICE/EACH BOOT. (10 boots/case).